Vinegar is a liquid of many virtues, known widely for its many healing properties such as treating yeast infections, lowering blood sugar, aiding digestion and treating insect bites. Hippocrates is reported to have used vinegar to treat wounds, while many more stories of its use make up the folklore of vinegar. Vinegar can present many health benefits if used properly; however, it can also bare some risks. Always check with a physician before taking any supplement to ensure that it will not interact with medications you are taking or exacerbate any conditions you may have. Vinegar is made by fermenting sources of carbohydrates such as wine, potatoes, fruits, coconut, honey, beer, beets, molasses, malt, sorghum, grains and maple syrup. Vinegar is made using either slow- or quick-fermenting processes, depending on the commercial use and type of vinegar. In order to mass-produce vinegars, the liquid is oxygenated by agitation and the bacteria culture growing on the surface is submerged, permitting rapid fermentation. Most commercial vinegars are then pasteurized in order to prevent non-toxic organisms from forming. In a study in the "Journal of American Dietetic Association," J.J. Hill et al., reported considerable variability between the brands of apple cider vinegar supplements in "tablet size, pH, component acid content, and label claims." In fact, the authors questioned whether the tablets contained apple cider vinegar at all and noted inconsistencies and inaccuracies in labeling and dosing recommendations. These inconsistencies are extremely important to keep in mind if considering using vinegar in tablet form as an alternative treatment for what ails you. 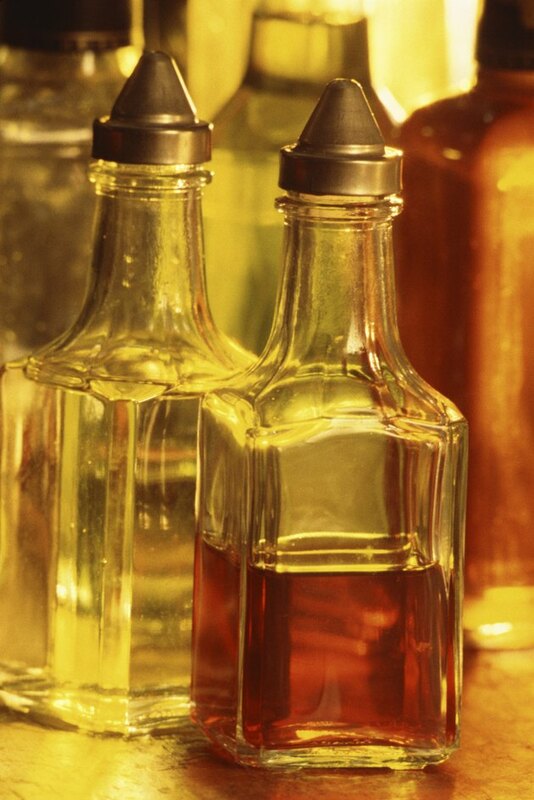 Vinegar is very acidic, making it damaging to teeth enamel, particularly if consumed undiluted. Apple cider tablets or capsules can burn your throat if they get stuck, so ensure that you consume the tablets with an entire glass of water. Vinegar may adversely impact your potassium levels. You may also experience an allergic reaction to vinegar, including symptoms such as swelling, hives and difficulty breathing. Apple cider vinegar may aggravate indigestion and heartburn. Unpasteurized vinegars are often sold for their health benefits marketed with the claim that the "mother," or organism growth, in the vinegar holds more potassium, calcium, ash, malic acid and acetic acid. However unpasteurized vinegars may carry harmful bacteria or toxins. As of 2011, it unknown whether vinegars are a safe supplement for consuming during pregnancy. Do no ingest unpasteurized vinegars if you are pregnant or trying to conceive. Vinegars may interact with many different medications, blocking absorption of some medications or altering their effect. You should discuss with your doctor before using apple cider vinegar in conjunction with digoxin and insulin, according to EMed TV. Vinegars may also interact with some diuretics, drugs that are intended to reduce swelling and inflammation.